With this product you can accumulate up to 58 Glitter Points. 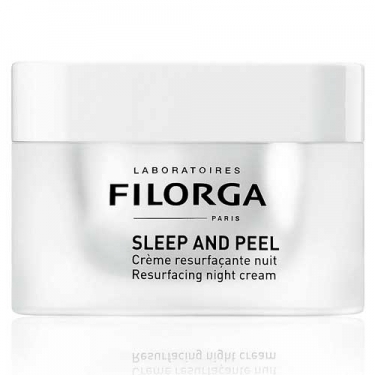 DESCRIPTION: Sleep and Peel Crème Resurfaçante Nuit by Filorga is an anti aging night care. 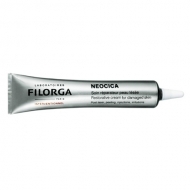 Formulated with the NCTF complex, Brown Seaweed and Azelaic and Pyruvic acids, guarantees a progressive and controlled exfoliation, hydration, protection against external aggressions and an anti aging softening action. Apply at night on clean and dry face. Apply daily or every other day for sensitive skin. Do not apply on the eyes, on wet skin or on open wounds. It's natural to feel a stinging sensation, it's the anti aging ingredients acting. Ideal for fighting early aging signs.